Knight Strip Metals Ltd is a world class provider of precision strip metals and has been in business for over 70 years. It comprises of 3 sites in the UK and 1 site in Belgium and exports to over 40 countries worldwide. The customer base, which covers all sectors of the manufacturing industry, necessitates that Knight Strip Metals Ltd holds and maintains the relevant recognised National, international and 'blue chip' company quality accreditation. Knights Strip Metals is operating in a highly competitive environment with low cost producers in the Far East, Eastern Europe, China and India all battling to win orders from industries around the world. In order to compete the company have had to invest in the top of the range equipment and the relevant skills that allows them to maximise capacity, capabilities and quality, often taking on work that other manufacturers find too difficult to produce cost effectively. The company has a continual drive to find ways of lowering costs and increase efficiency, whilst also reducing their environmental impact. Ultimately, if they did not continually innovate they would quickly be driven out of business. A very significant existing customer that supplies product to solve high temperature problems in the aerospace industry was involved in tendering for new aerospace insulation work on the Boeing 737 "Spirit" program. The work required the manufacture of heat insulation panels requiring the use of very wide and very thin stainless steel foils. Traditionally the foils have been supplied in the form of low weight coils (about 50 kilos), and "sheets" are "payed" off and cut by hand and then carried by hand to the next operation. No de-coiling machinery existed for this wide and thin combination, and as a result, it was decided to develop a completely new piece of machinery resulting in significant process innovation for the strip metal industry. Trials with the existing equipment demonstrated that it was necessary for Knight Strip Metals (K.S.M.) to develop control of the encoder drive rolls never seen previously and develop and manufacture a unique, fully adjustable de-coiling system. A long standing key customer that is a World leader in the development and supply of push-fit fittings needed to increase the size of stainless steel coils to improve productivity. 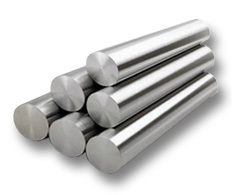 As a result, KSM had to develop their own in house stainless steel processing capability. An increase in the size of the coils poses a considerable change in the way the rotary shearing operation is undertaken and requires the development of a bespoke shearing machine to cope with the increase in both diameter from 800mm to 1150mm and weight from 109kg to 294kg. Length of the coil increases from 1718 metres to 3862 metres. The actual methodology of shearing these dimensions accurately and consistently had to be addressed. The co-ordination required ‘from the coil’ to ‘pre slitting’ to ‘slitting’ to ‘tension after slitting’ to ‘recoiling’ is a step change by comparison with the current technology played. The initial 2 year claim was successful to the tune of £100,000. "Our initial reaction was that we were not aware of what R&D Tax Credits were and, more importantly, what they could do for Knight Strip Metals (KSM). We questioned, as I'm sure many other companies do, whether what we do on a daily basis with regards to strip metal processing was applicable for a claim. However, thanks to the discussions with Phil and Darren from BSM it was clear that some of our bespoke development work was eligible R&D. Thanks to BSM for the way they guided us through the process and the fantastic result in nearly a six figure claim being approved."